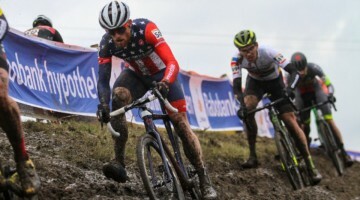 While many of cycling fans’ eyes were on former silver Junior Men’s Cyclocross World Championship silver medalist Peter Sagan at the 2015 Road World Championships, most of America’s best cyclocrossers converged in Gloucester, Mass. to battle to win one of the most prestigious races of the season. Racers battled by the sea on a very dusty second day of racing at the Craft Sportswear Gran Prix of Gloucester, where a fast course carved through challenging terrain. 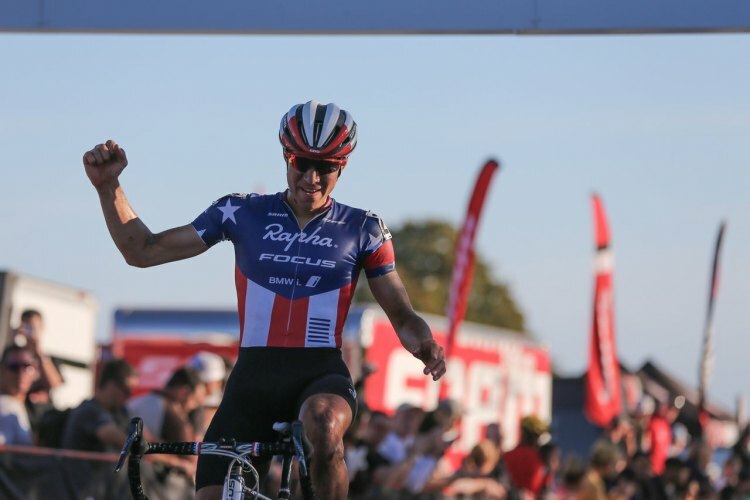 The race today at Gloucester was the second day of the Verge New England Cyclocross Series, so fierce competitions unfolded in fifteen race categories. Racers from the smallest cub junior to the fastest pro racers vied for Series points on one of the toughest courses at Gloucester to date, the sandy corners filled with loose sections and tire-shredding gravel. 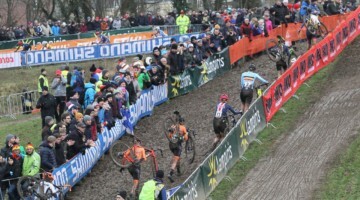 Success on today’s course demanded powerful racing combined with deft technique. Wyman suffered a flat, opening the door for Crystal Anthony (Boulder Cycle Sport/YogaGlo), who was steadily closing in on the leaders, to climb into third spot, and McFadden to nab fourth. Wyman tried to undo her misfortune as Compton’s lead continued to grow, but there wasn’t enough time left in the race. Compton won by a solid margin, Mani crossing second, and Anthony third. 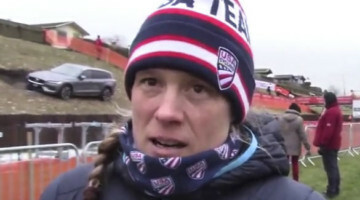 Wyman beat McFadden in a sprint that displayed her impressive power. 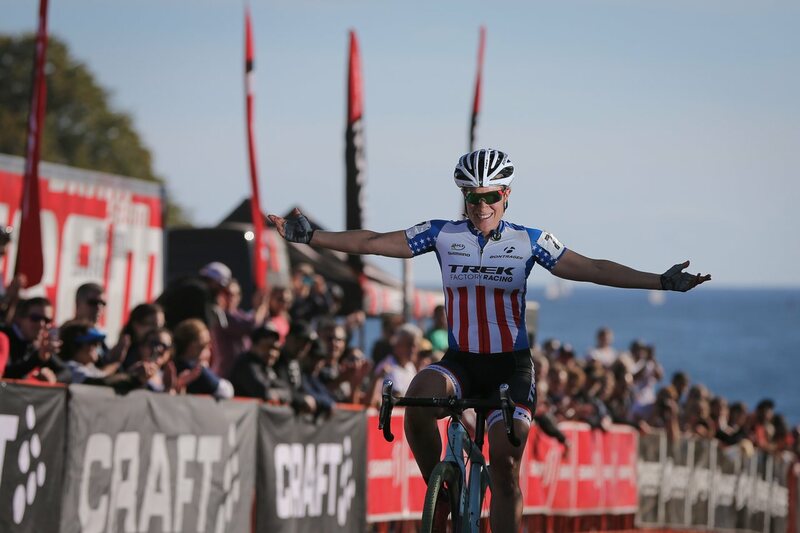 Ellen Noble’s race didn’t go quite as well as yesterday’s, but she did solidify her lead in the U23 Series competition. Mani edged out Compton for the overall Series lead by a mere five points, although Compton does hold onto the new 35+ Elite Women’s lead.